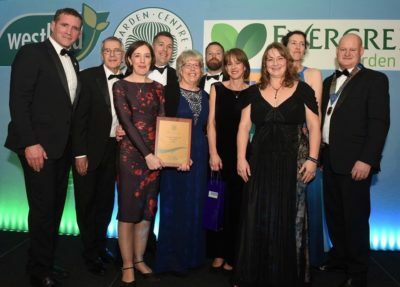 Perrywood celebrates FIVE award wins at the National Garden Centre Association Conference! 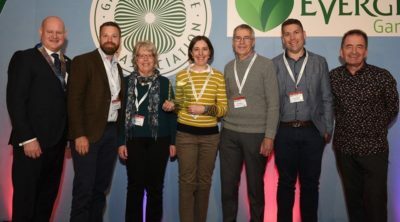 The team at Perrywood Tiptree is celebrating incredible success following FIVE award wins at the National Garden Centre Association (GCA) Conference last week, the industry’s most prestigious event of the year for UK garden centres. Perrywood was named 3rd in the Garden Centre Association’s Top 100 League Table, making it one of only ten garden centres of excellence in the whole of the UK – and the best in the South of England. The GCA carries out an annual inspection of all its members and uses this to compile the rankings table. The association adds up scores for a number of elements including customer service, merchandising, creativity and innovation, quality and range of products and much more. This is a significant achievement for Perrywood, after being named fourth in last year’s awards. 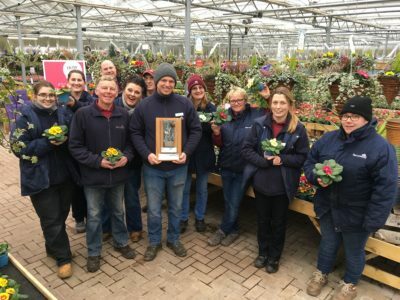 Perrywood was named as having the best UK Plant Area in larger Destination Garden Centres (above £4m turnover), winning the sought-after Ruxley Rose Award for the first time. Our vision is to ‘inspire more people to get plants in their lives’ and this award is testament to our skills in growing and retailing both indoor and outdoor plants. As a business, we are dedicated to providing excellent customer service in every aspect of the centre, and we were announced as winner of the Customer Service Award. Our gift shop, a highlight for local shoppers looking for inspiration and stylish displays, came second in the Indoor Lifestyle Award. Finally, Perrywood achieved second place in the Catering category, recognizing our Coffee Shop & Restaurant.